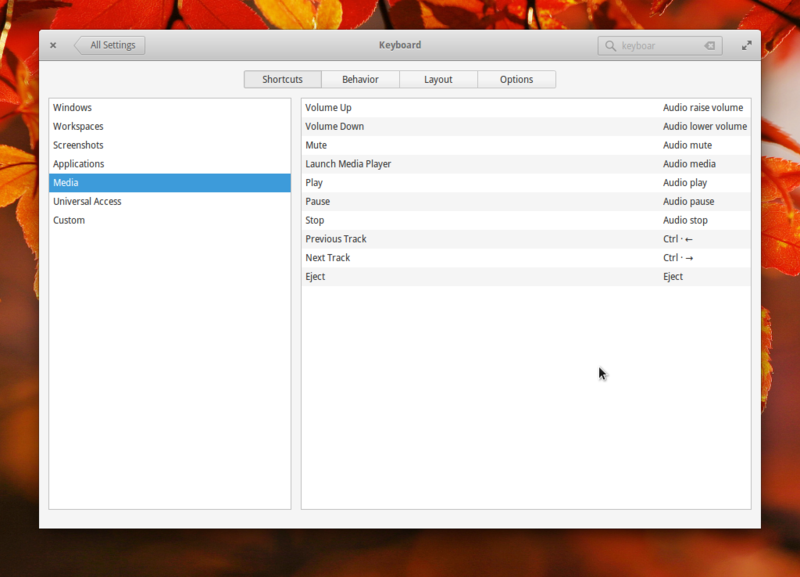 I want to assign some custom keyboard shortcut for noise music player. When it running background , using keyboard want to paly/pause or change music. Is there anyway assign those custom keyboard shortcut for noise music player? Using the 'Keyboard' plug in System Settings it's possible to do this. System Settings --> Keyboard --> Shortcuts --> Media gives options to change the shortcuts for playing/pausing and other media functions. Just click the shortcut you want to change and press the desired key-combination. I don't know why but sadly "Shift + <" combination doesn't work, "Shift + >" does though. Actually "Ctrl + ," and "Ctrl + ." will fit perfectly for chosing previous and next track. Not the answer you're looking for? Browse other questions tagged release-freya music audio or ask your own question.